Everyone needs a will, we can help. We pride ourselves on over 25 years of quality work, all at a reasonable fee. Read below about our process for Wills & Estate Planning. Call us now for your initial complimentary meeting at 410-766-4044 or 301-587-8900. Thank you for visiting the Wills and Estate Planning section of our website. Whether you are searching for an attorney to assist you in drafting your Will and other estate planning documents or simply just searching the web for information, you have come to the right place. Everyone should have a Will. Often, people put off having a Will, thinking that creating a Will is something only the elderly or ill need to consider. Others believe that they do not have enough wealth or property to necessitate a Will. That is simply not true, every responsible adult should have a Will. You can name a guardian for your minor children. If you die without a Will and have not designated, in writing, who is going to care for them, they could be placed in the middle of a very difficult situation upon your untimely death. You can designate how you want your insurance money spent on the minor children, or what type of access they will have to it. Will they be able to spend it at age 18? At age 25? Should it be spent on college only? You should be the one to decide and we will help you with all of these issues. Who is going to be your personal representative? Who do you trust the most with your money? So often people die without a Will and family members fight over the right to distribute the money, property and even the children. A Will is your opportunity to designate who is going to take of the paperwork upon your death. Depending on your level of wealth having a Will and/or a Trust could be vital to saving your beneficiaries money in taxes upon your death. How do you want your personal property divided? Do you want certain jewelry or a certain vehicle to go to a certain person? If you do not think about these things now your true wishes may not be met upon your death. 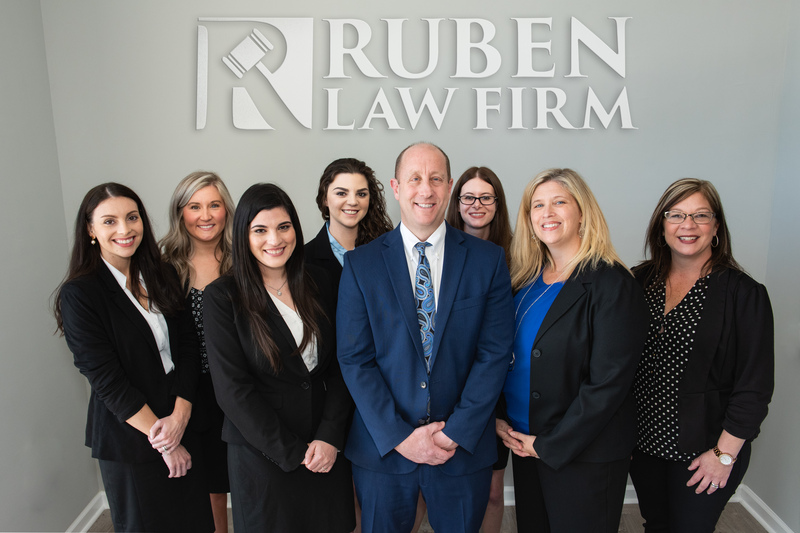 At Ruben Law Firm our Wills and Estate Planning Attorneys know how busy life can be. We know that you have taken a big step just visiting the website and thinking about obtaining estate planning documents. Our goal is to make the process as convenient and affordable for you as possible. Our process consists of two meetings. During the initial meeting, we first spend some time getting to know you and your goals. You will meet with one of our attorneys and discuss your objective and we will guide you through your estate planning process. Prior to the initial appointment, we send you a Client Information Form. Some people fill it out before they come in, others do not, it’s entirely up to you, but it gives you an idea of the type of information that we are going to be asking you about. When you come in, we will give you a customized plan and discuss the range of fees on our Wills and Estate Planning packages. Every client is unique but we can promise you this. Our fees will likely be lower than any other Wills and Estate Planning law firm in the area. We pride ourselves in doing quality work at a reasonable cost. YOU WILL NOT BE CHARGED FOR THE FIRST MEETING. If you decide that you would like us to prepare your Wills and Estate Planning Documents than you can pay a portion up front and pay the remainder when we have completed our work. At the second meeting we will review your estate plan with you and ensure that you leave the meeting with a full understanding of your plan. Your estate plan will be signed an notarized and you will leave with an original of your documents and keep a copy in our files for you. We will explain to you the steps that you will need to take, if any, from that point further. The first step is to reach out to us by phone or by filling out the contact form to your right. Our phones are answered 24/7 and we respond to email very quickly. You will see that our client service is second to none. And remember, the initial meeting is free of charge, so you have nothing to lose by reaching out to us.